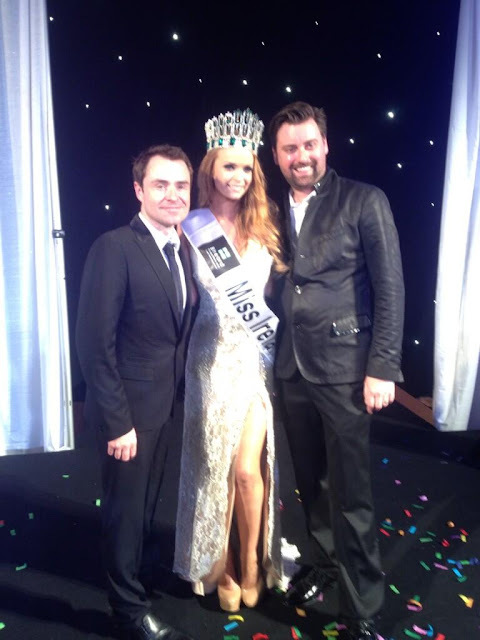 23 year old Aiofe Walsh was crowned Miss Ireland 2013 in Dublin last night. She defeated 28 other ladies including first runner-up Miss Sunday World, Emma Cronin, and Miss Buck Whaley's, Kate Monahan, to win her national title. Walsh will now start preparing to represent Ireland at Miss World 2013 in Indonesia. She's cute. I would say she's almost better suited for Miss Universe.